Owners of local area restaurants, including GCDC and Tonic, said if the referendum passes, it will deeply hurt their revenue streams. D.C. voters will determine this June whether restaurant workers should be required to earn the District’s minimum wage. The D.C. Board of Elections confirmed last month that a referendum to increase the base wage for waiters, bartenders and other tipped restaurant staff to $12.50 an hour in D.C. will be on the ballot in the June primary elections. Advocates have embraced the measure, saying it would end the frequent exploitation of tipped workers, but restaurants have rallied against it out of fear that the extra cost will hurt restaurants’ bottom lines. The move comes after the D.C. Council raised the minimum wage for non-tipped workers in D.C. to $12.50 last year, with an increase to $15 by 2020. The same bill increased the base wage for tipped workers from $2.77 to $3.33 and eventually to $5 by 2020. The initiative would gradually increase the minimum wage for tipped restaurant workers over the next seven years until it reaches the current rate for non-tipped workers, if passed. D.C. waiters currently must earn $3.33 an hour plus customer tips to guarantee they make at least $12.50 an hour, according to the Washington Business Journal. Proponents of the initiative said implementing a minimum wage system for restaurant staff will boost wages and reduce workplace harassment in the restaurant industry because workers will feel more empowered to speak out against managers or customers without fear that it will cost them tips. Ramirez said her organization first rallied to get the initiative on the ballot in June 2016, but it was challenged by the Restaurant Association of Metropolitan Washington, which alleged the 40,000 signatures ROC collected in support of the referendum were solicited from people who were not registered to vote. Reese Jones, a freshman server at Tredici Enoteca – a mediterranean restaurant on M Street – said he strongly supports the initiative because tips should not be the main base for restaurant staff pay – as they are under the current system. “The idea of tips, to me, is that it is extra money on top of your paycheck in exchange for doing a good job at serving guests,” Jones said. He added that the initiative would help workers who can feel forced to “go above and beyond” for tips, including dressing provocatively and acting overly kind to inappropriate customers. Nick Wertsch – the organizing director at the Kalmanovitz Initiative for Labor and the Working Poor at Georgetown University, which works to improve conditions for local workers – said the current tipping system creates an uneven power dynamic where waiters will tolerate sexual harassment and other inexcusable behavior to receive a tip. Earlier this year, a major D.C. restaurant organization began offering anti-harassment training amid a focus on sexual misconduct nationally, particularly in the restaurant industry. Wertsch said if the initiative passes, it would allow restaurant workers to count on a reliable salary from a paycheck – which many non-tipped workers take for granted. “It ensures the right amount will come through for that worker, and that’s something everybody else takes for granted when they get their paycheck,” he said. Restaurant industry representatives are arguing against the referendum, saying servers make more money through the tip system and that dramatically raising the minimum wage will place a huge burden on restaurants and potentially force staff layoffs. Eden Raskin Jenkins, the member services director and policy advisor of the Restaurant Association of Metropolitan Washington, an organization opposing the initiative, said local restaurants will suffer the most because they are not as equipped as larger companies to handle the additional costs the initiative will bring. The added cost could also force restaurants to raise menu prices to ensure they can pay the higher wages, he said. Without the tip system, she said waiters will take home “drastically lower” amounts of money than they currently make because customers likely won’t tip as frequently or as much because of higher menu prices. Owners of area restaurants, including GCDC and Tonic Restaurant, said the initiative will deeply hurt their revenue streams. 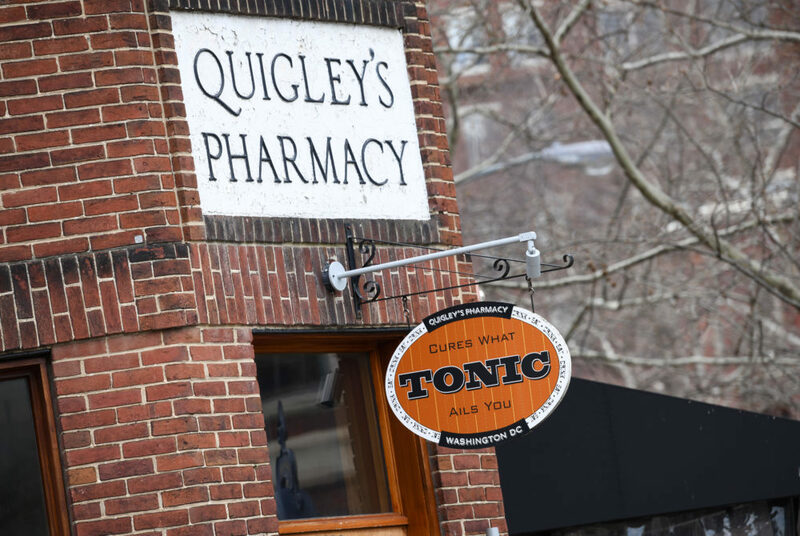 Jeremy Pollok, the owner of Tonic, said if passed, the policy will also hurt servers and consumers because operating costs will increase.